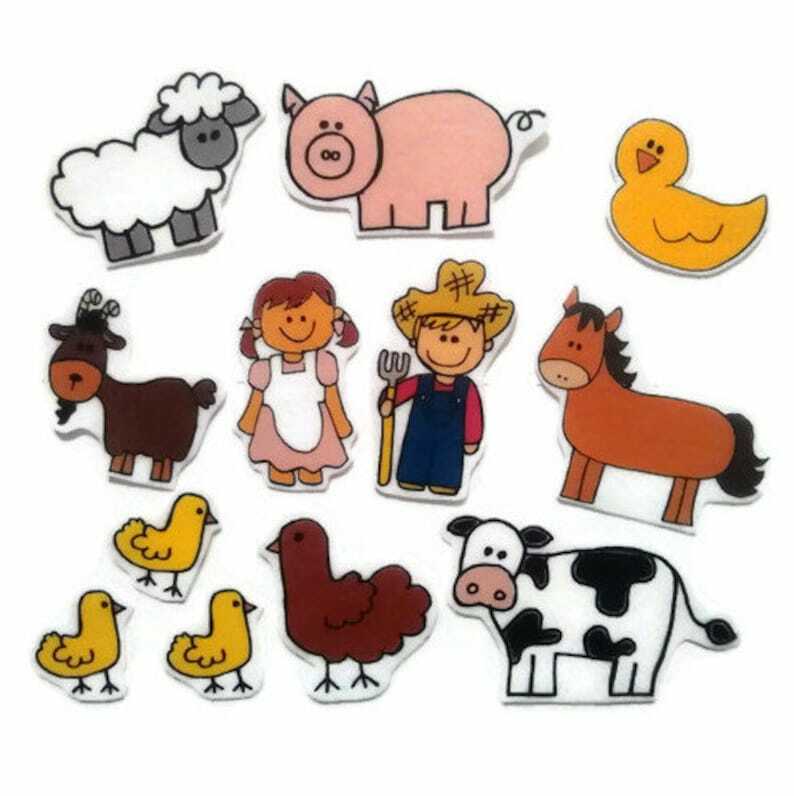 Little ones can have their own farm with these felt board pieces! They are great for independent, quiet play or group activities. These pieces are made of felt and will stick to felt or flannel. This set comes with 12 pieces. Available in 2.5 inch. (5 inch is available upon request) It is also available uncut, with a savings of 25%. If you choose this option you will receive a sheet with the pieces that you can cut on your own. Perfect little farm set! All the main characters are included!